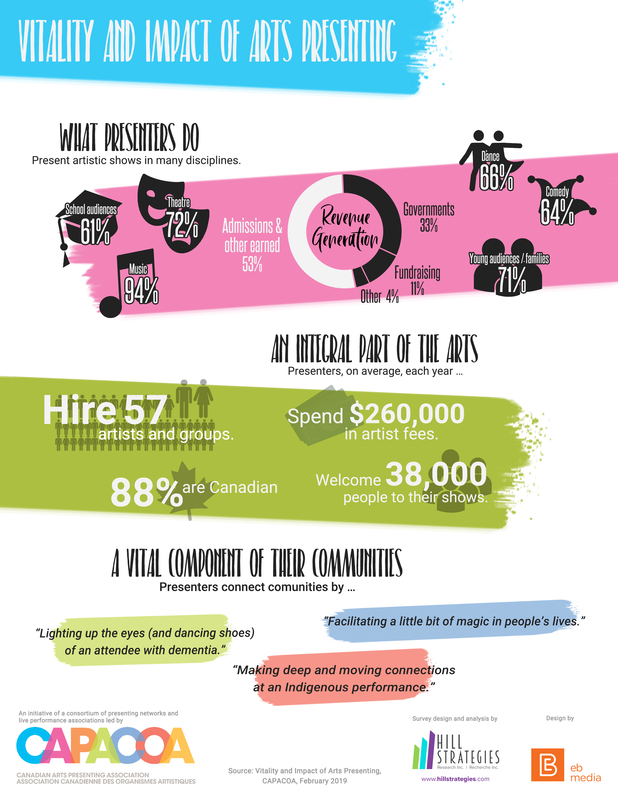 Vital Signs: Arts & Belonging is a national report published by Community Foundations of Canada and Canadian Arts Presenting Association in April 2017. 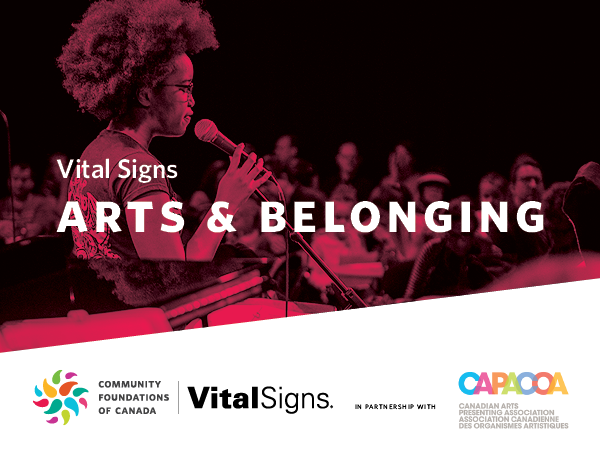 Vital Signs: Arts & Belonging looks closely at how arts and culture, in all its forms, make our communities better places to live by helping people to better understand their identity and connect through shared arts experiences. The publication draws on community knowledge, a range of government and local data sources, and deeper analysis of responses from a 2015 cross-country survey conducted with the Angus Reid Institute that asked Canadians what it means to belong and be involved community activity. Vital Signs: Arts & Belonging also highlights some areas for improvement, with regards to facilities and to the specific needs of Indigenous, rural, remote and minority-language communities. The report also outlines a number of recommendations to help people of all backgrounds feel more connected to the arts and build bridges between communities, such as offering community engaged arts programs; reflecting diversity on the stage, screen and airwaves; and opening up arts facilities to the community. For presentations and dynamic workshops on Arts and Belonging, please contact Frédéric Julien, director of Research and Development. This research project was funded by the Canada Council for the Arts and the Ontario Arts Council.